Several pre-configured themes are available for changing how a Chart control looks. Themes are great for many cases, however some effects can only be achieved by using CSS. 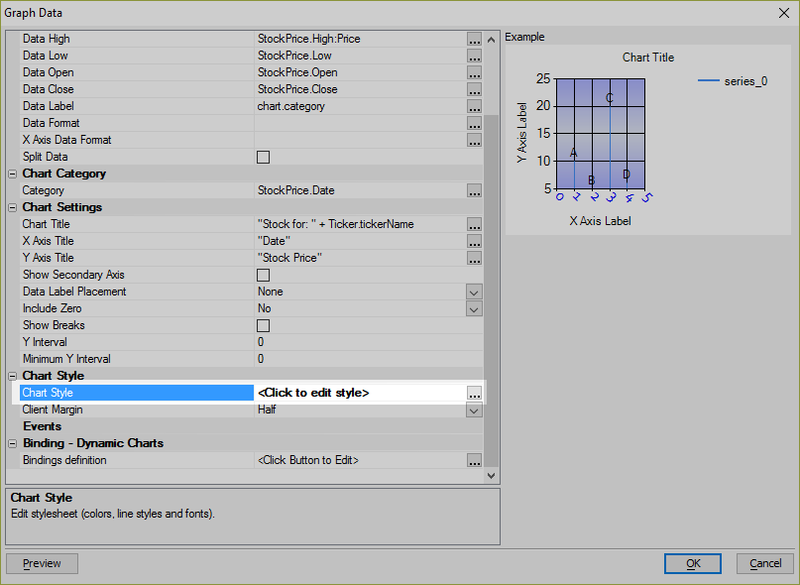 The Chart control can be customized by adding classes to style the chart. 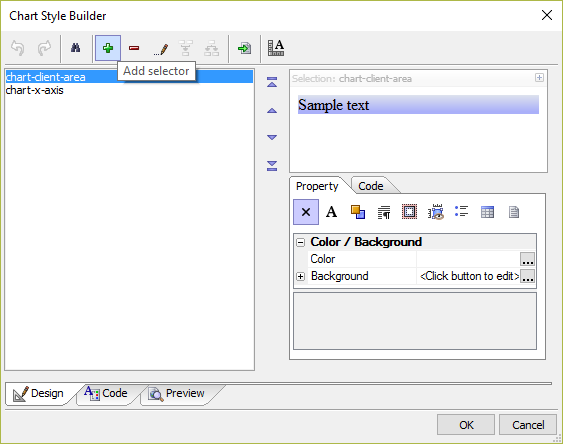 The Chart Style builder allows you to customize the Chart control's appearance, including several themes and tools for customizing the layout, fonts and colors used in the Chart control. 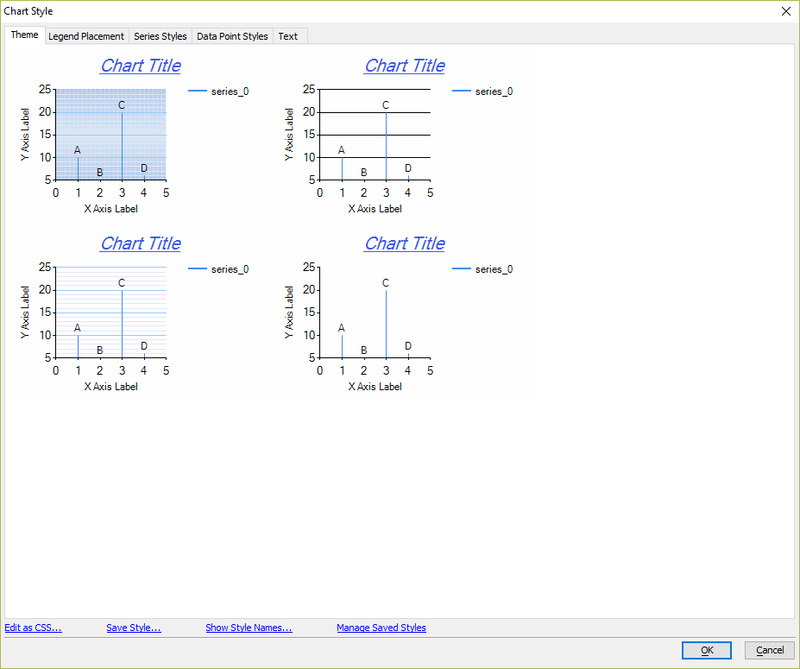 The Chart Style builder can be used to customize the X-Axis and other text in the Chart control. Open the Chart Style builder by clicking the button for the Chart style property. Click on the Text tab to open the Text Styles editor. 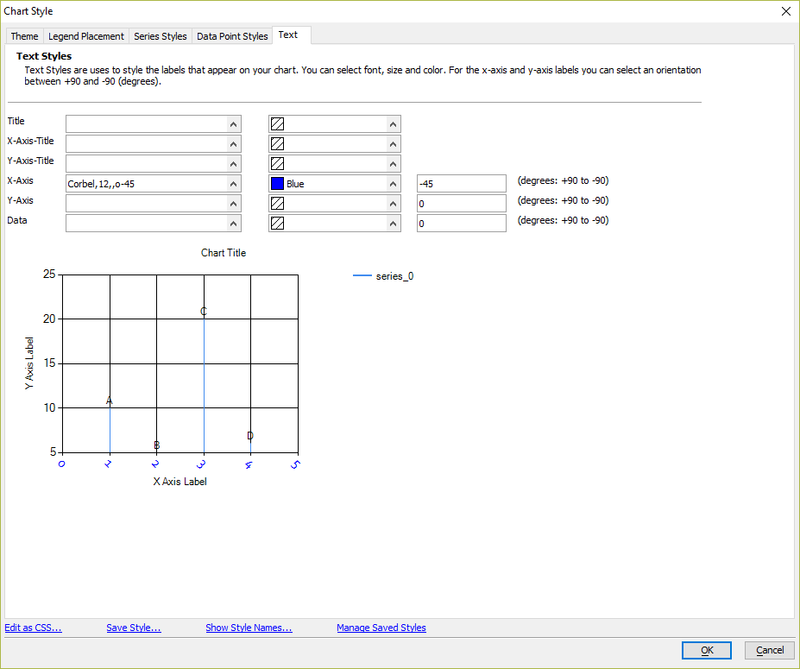 Customize the Font, Color, and Rotation Angle for the X-Axis. Click the Edit as CSS... link at the bottom of the Theme tab. Use the Add Selector tool on the Design tab to add the chart-client-area and create a gradient background fill for the Chart control using the Chart Style Builder. For full step-by-step instructions on how to style the background and labels of a Chart control, watch the video below.